Join ACNA-NJ at Pocono Raceway on the 2.5 Mile IMSA Course for our annual one-day High Performance Driver Education (HPDE) Event. In 2011 the NJ Audi Club ran the 1.5 mile North Course! 2012 the NJ Audi Club ran the exciting 2.5 NASCAR Tri-Oval! 2014 the NJ Audi Club ran the 2.5 mile Double Infield and the IMSA Course! Lessons and skills learned at these events really do transfer to everyday driving, as numerous former students attest to all the time. Many prior students report avoiding accidents thanks to things they learned at these events. Many others report simply enjoying their daily commute more knowing more about themselves and their cars. There really is no better way to improve your skills. One of the goals upon which the Audi Club North America was founded was the idea that driving skills can and should be improved with practice in a controlled environment. After all, how better to enjoy your car than to be confident that you really know how it will react in all situations? 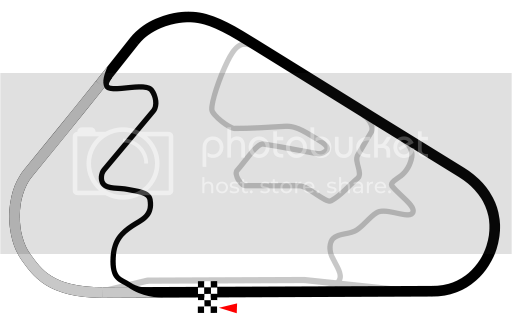 This event will be held at a racetrack due to ample space, no oncoming traffic, plenty of runoff room, and workers before each corner with flags to warn drivers of any upcoming danger. Despite being at a racetrack, the event is not competitive, is not timed, and most certainly is not racing. The event will be run on the 2.5 mile IMSA Course at Pocono Raceway in Longpond, PA. The event will be run on the 2.5mile IMSA Course at Pocono Raceway in Longpond, PA. The 2.5 mile IMSA Course uses the North Course and three - quarters of the NASCAR Tri-Oval. The 2.5 mile IMSA Course runs the opposite direction of NASCAR on the Tri-Oval. Upon driving down the front straight opposite direction from NASCAR you enter the "North Course" just past pit lane. Upon completing the road course portion of the 2.5 miles you enter back onto the NASCAR Super Speedway just prior to NASCAR Turn 2. The 3,055 foot Long Pond Straight is just ahead and then the exciting NASCAR High Banked Turn 1 (14 degrees) which exits back onto the long front straight completing one lap. The 2.5 mile IMSA Course provides an exciting, fast, fun and educational way to experience your Audi on a racetrack like no other in the Northeast! A mix of Autobahn and a road course! This layout has long been the desired configuration of many professional and club drivers as it provides a track like no other in the Northeast! The closest would be Daytona International Speedway, Tudor/Rolex configuration. Although slightly different from last year’s venue, we will have the opportunity to drive our Audi's as our German friends do on the Autobahn and Road Course! The 2.5 mile course will provide such an experience. There will be a full service paddock space. Amenities on this circuit include concession buildings, event garages, cafeteria and fuel pumps. We have secured the entire track with the help of Pocono Raceway to provide this unique experience! And managed to keep the cost low! Students will be separated into four groups based on your driving experience. 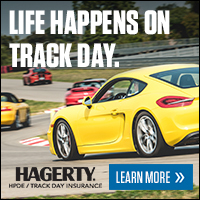 Every student will receive in-car instruction by some of the best HPDE instructors. Instructors will be assigned one or two students and will also receive the same amount of time on track as students. Instructors: If you would like to instruct but have not previously instructed with ACNA-NJ, please e-mail our Chief Instructor, Scott at slynn@acna-nj.org with your experience and contact information. Should you need to stay overnight, there is a block of rooms reserved at 2 hotels in the area. Look for the group code(s) in your registration confirmation email. It will also be in the event track pack. This is not a racing school, nor is it a competitive event. Anyone found timing laps will be removed from the event. Note: While the event organizers will make every effort to maximize track time, due to the possible track conditions and weather the number of sessions and session length cannot be guaranteed.